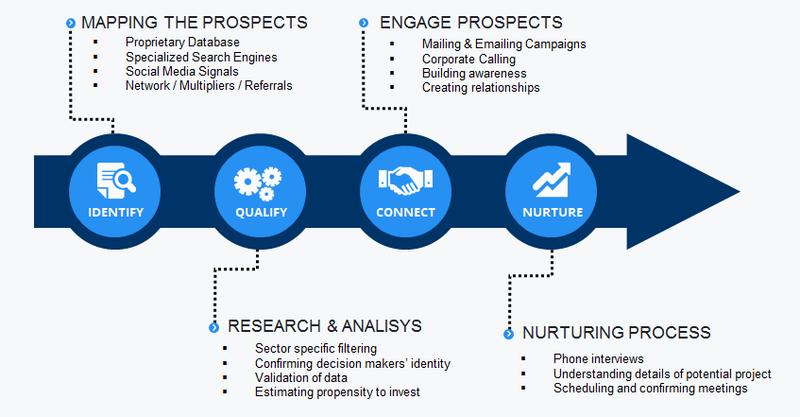 We believe lists of leads are important as long as they are backed up with a sound, workable and measurable strategy. The provision of a lists of prospects is simply a step and not an ultimate goal. As such, IDENTIFYING AND QUALIFYING prospects must be carefully done so as to make the best possible CONNECTION. We fully understand that it is the quality of our team that directly impacts the ultimate outcome. The CIDEP team is mandated to thoroughly follow a proven and prescribed methodology and to deliver the client a product that reflects (i) a “hands on” fully assessed data base of prospects, (ii) a deep understanding of the client’s region and its attributes and (iii) a personal relationship with suitable prospective companies advanced to the client. In fact, our methodology calls for direct contacts with qualified potential movers and shakers in targeted sectors rather than simply the provision of an ubiquitous company list of prospects. Our experienced in-market team takes on the responsibility of maximizing lists into results.